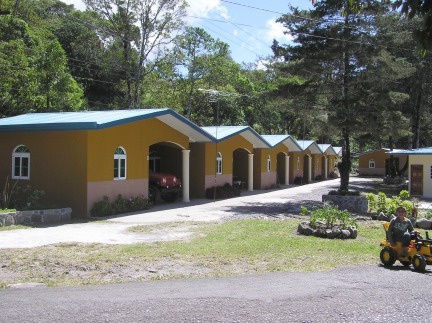 Cabanas Reis, is a newly opened facility at the entrance to Volcan.It has 12 cabins available, all with hot water, shower and most with internet access and Direct TV. 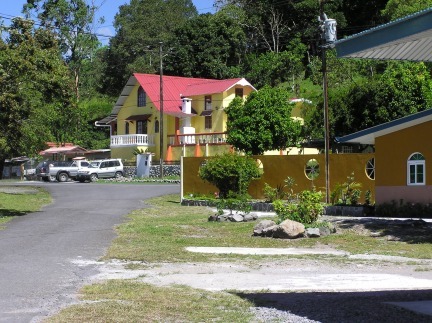 Single queen, without Direct TV at $33 per night. Single queen with Direct TV, at $36 per night. 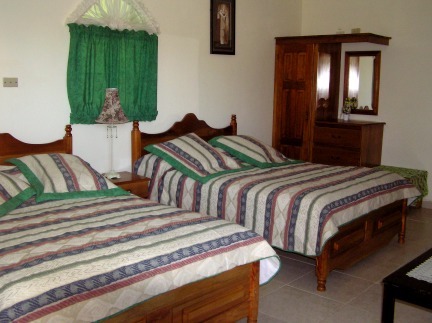 Two queen sized beds, with all facilities, $46 per night. All rooms have en-suite shower with hot water and there are kitchen facilities with fridge for snacks ,coffee etc. This is the double queen sized room. 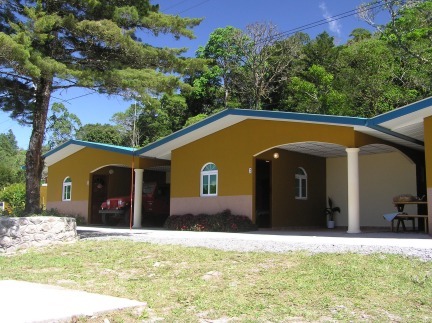 It rents for $46 a night and has hot water, internet access and Direct TV. This is the single room with One queen sized bed. 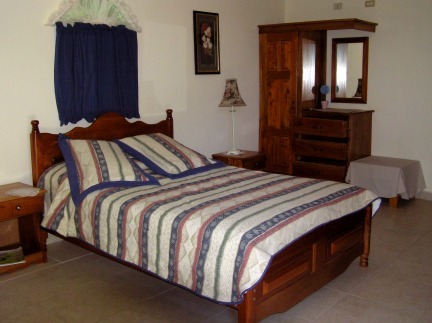 Cost $36 per night.The rooms have been tastefully decorated and are clean, cozy and modern in design.